As genomic sequencing becomes increasing accessible to both the public and through multidisciplinary research projects, the ability to evaluate the ancient remains of both human and animal fossils is changing the face of understanding evolution — and in some cases, overturning some long-held beliefs on how humanity evolved from ancient times into modernity. In a recent article from ABC Science, writer Annie Hastwell explores some of these new advances in archaeological DNA testing of remains. In particular, she highlights the work of Dr. Alan Cooper, who recently presented a wealth of new DNA-based archaeological projects at the Australian Centre of Ancient DNA’s meeting. The Centre, of which Dr. Cooper is the head, is using this new approach to fuel new insights into human and evolution and behavior, such as its look into the migration of the Polynesian chicken, which, due to their longstanding domestication by humans, migrated along with people in the region over a wide swatch of generations. “Animals leave more of a signal on the landscape, you’re more likely to find lots of chicken bones than lots of human bones,” Dr. Cooper explained in the article. Similarly, Cooper is looking not just at human remains, but at specific features of such remains which, through genetic testing, are yielding fascinating results. Hastwell explains that, Cooper is “examining the calculus or tartar on ancient teeth, and seeing how the origins of many modern chronic diseases can be tracked back to when society moved from Neolithic hunter-gatherer to urbanization” by delving into DNA profiles and biomolecules for new answers. According to Dr. Mike Bunce, a researcher at Curtin University’s Trace and Environmental DNA Laboratory, the ability to look deeper into fossils, past the traditional methods of simply carbon-dating fossils and determining their morphology, represents a whole new level of specificity in collecting quantifiable data that in turn will lead to more conclusive findings about human and animal evolution. “Developments in DNA sequencing technologies have transformed this process — a good analogy is someone replacing your Morse-code machine with a personal computer,” said Bunce in the article, noting that this new approach has yielded DNA that is 800,000 years old, with fossils and remains found frozen in the ice caps yielding the most well-preserved results. Thanks to the processing power of modern technology, DNA labs can now sequence billions of base pairs of DNA. Once all the raw data is compiled, Bunce and researchers like him use computers to piece together the base pairs into a reconstruction of the DNA. 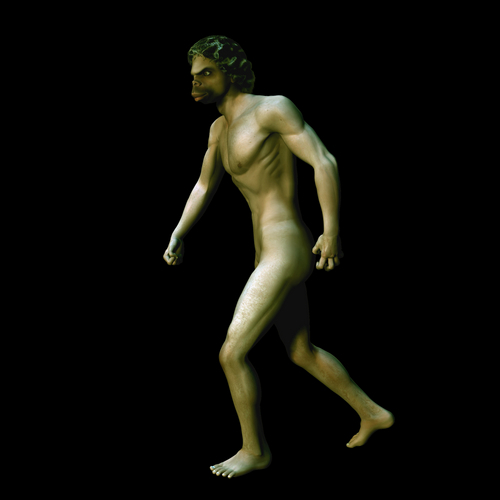 A similar finding cam about from a DNA-based look into Homo Floresiensis, another early humanoid race that are sometimes referred to as “Hobbits” due to their marked small stature. Having been discovered originally in Flores, Indonesia, Homo Floresiensis were inexplicably able to migrate over the Wallace Line near Borneo. These new, subtle genetic variations in ancient remains are fracturing the more simplified, traditional view of the various humanoid races vying for survival in antiquity. Of course, there are still limitations to the genetic sequencing approach to piecing together human evolution, as the sequencing process often reveals results that are disembodied from the fossils themselves. Researcher Wolfgang Haak from the Australian Centre for DNA explains how all of the seemingly disparate fossils of ancient human remains from Europe to the Pacific can eventually be reconciled, but that the actual collection of bones is not as complete as the genetic information: “We have the full Denisovan genome but no skeleton, just a finger bone, and then in Spain we have those fossils that are Neanderthals but genetically they look like the Denisovans but we can’t compare because we don’t have a Denisovan fossil,” he explains. “Then in Flores we have a perfect Hobbit skeleton but no DNA.” Because of this, work still needs to be done to reconcile DNA results with actual fossils. In spite of this challenge, DNA sequencing of ancient human remains significantly nuances the progression of human evolution, showing how different races interbred, migrated, influenced one another, and were influenced — an epic journey across continents that was epochs long. Today, the modern human DNA appears rather static. However, these new insights begin to shape our understanding of the immensely complex process that led modern humanity to its current place.